While Facebook goes older it also become more and more annoying because of the unimportant news feed, application alerts, and some nuisance posts. The good news is, you don't have to live with it. You can use a user script called F.B. 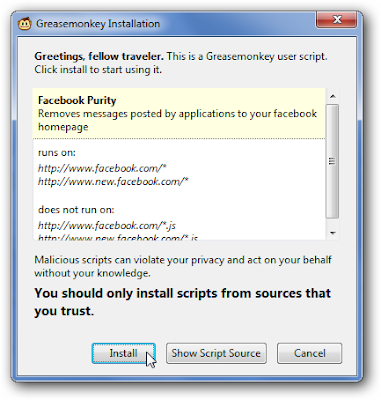 Purity that works with Firefox with Greasemonkey, Chrome, Opera, and Safari with SIMBL and Greasekit. Just install the script on the supported browsers and it will automatically free you from this annoyance.